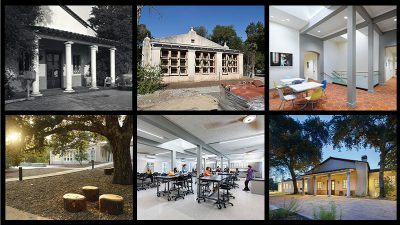 The Robert Redford Conservancy earned LEED Platinum certification and is on track to become The Claremont Colleges’ first net-zero energy building. The Andrew W. Mellon Foundation awarded Pitzer a $1.1 million grant to expand prison education at the 5Cs. The Princeton Review ranked Pitzer #1 Most Active Student Government, #2 Most Politically Active Students, #15 Best College Dorms and #17 Best Campus Food. Pitzer’s Native Youth to College program celebrated its 10th anniversary and received a $40,000 grant from the San Manuel Band of Mission Indians. 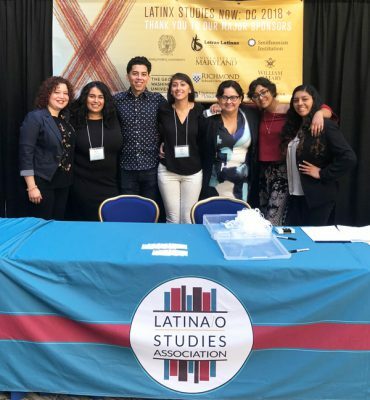 Pitzer’s Laila Alvarez ’18, Adriana Ceron ’18, Jessica Estrada ’21, Kevin Kandamby ’19, Francelia Lievanos ’20 and Javier LopezCasertano ’19, along with Professor Suyapa Portillo Villeda ’96, Dean of Students Sandra Vasquez and two Pomona College graduates, presented research and tackled pressing issues at the 2018 Latina/o Studies Association conference in DC. The National Science Foundation awarded Chemistry Professor Aaron Leconte a $400,000 CAREER grant. Professor Rachel VanSickle-Ward ’99 won an American Political Science Association Herbert A. Simon Book Award. Amber Burkhart ’20, Blake Clement ’20 and three Inside-Out Prison Exchange classmates formed one of five teams that won Project Pericles’ D4D Letters to an Elected Official Competition. Career Services’ Pitzer Internship Fund supported more than 50 students’ summer experiences. Alumna Susan Feniger ’76 and her culinary partner made epicurean history when they won the Julia Child Award—they’re the first women, and the first duo, to garner the gastronomic honor. Mailroom Supervisor Kathy Kile ’97 spent 28 days working with children and young adults with physical or developmental disabilities in Hue, Vietnam. The Office of Study Abroad & International Programs hosted its second Pitzer in Vietnam summer program and its long-running Summer Health Program in Costa Rica. It also inaugurated a summer exchange program with Kwansei Gakuin University in Japan. 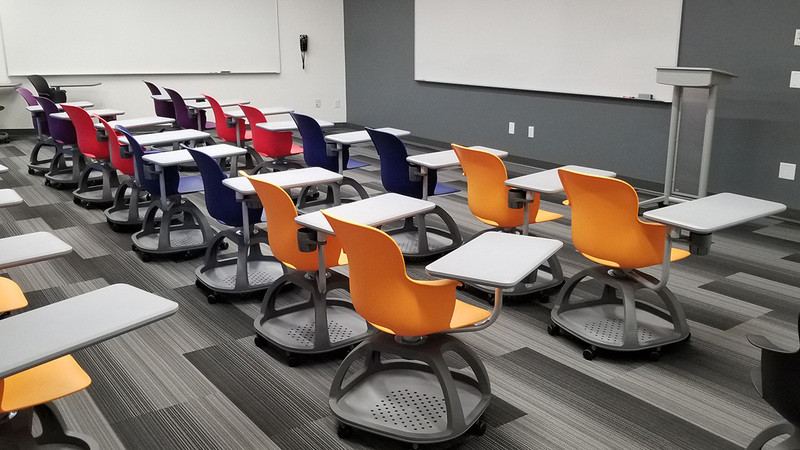 Facilities & Campus Services, along with IT and the Academic Planning Committee, transformed Avery Hall 202 and 226 into one large multimedia classroom that supports large and small group pedagogy. Facilities also created a new Residence Life office suite in Sanborn Hall and remodeled three other offices, updated McConnell Dining Hall equipment and continued campus-wide work on safety equipment, including providing keyless entry at exterior doors, upgrading smoke detectors, refreshing emergency preparedness supplies and upgrading sidewalks. The 2018 Spring/Summer Participant hit mailboxes—and touchscreens—in July. Thumb through it for coverage of the Redford Conservancy’s first semester in its new home, Pitzer’s Class of 1968 digital timeline, new video profiles of students and recent grads Mariah Jenkins ’20 and Polina Goncharova ’18, and much more. You can also view these videos on Pitzer’s social media platforms, including its new IGTV channel. 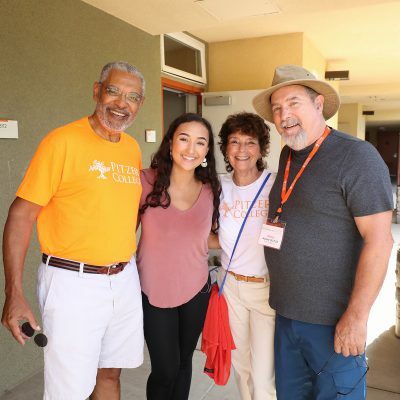 The Office of College Advancement hosted 11 Summer Welcome Receptions across the country for the Class of 2022 and their parents and organized a series of summertime alumni events, including whale watching with Pitzer alum and Pomona Professor Char Miller ’75. The Office of Institutional Research & Assessment and WSCUC Steering Committee submitted the Institutional Report for Reaffirmation of Accreditation to the WASC Senior College and University Commission in July. 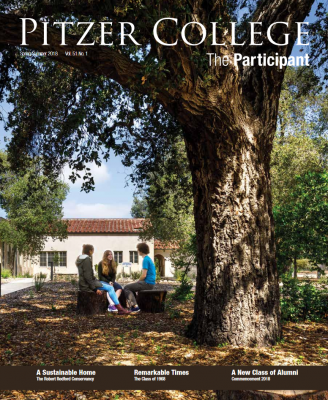 Summarizing institutional evidence and community input gathered since spring 2017, the report was a major milestone in Pitzer’s ongoing, multi-year reaccreditation process. The Sagehens are warming up for fall sports. From post-season honors to preseason previews, catch up on all the Sagehens news at Pomona-Pitzer Athletics. 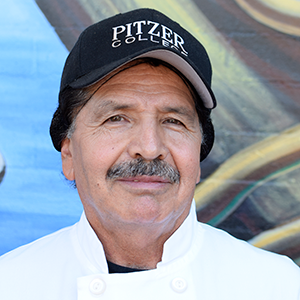 José Serna, a cook in Pitzer’s McConnell Dining Hall for more than 36 years and a perpetual employee-of-the-month, passed away on June 13. 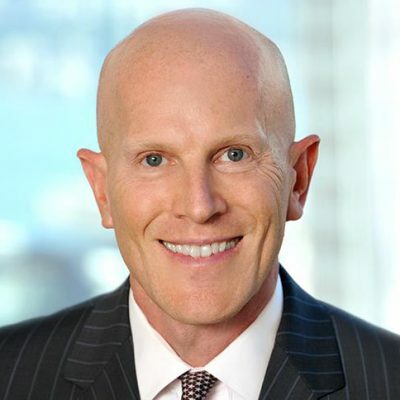 “José was an exemplary friend, co-worker and mentor to everyone he worked with, and an inspiration to all of us on campus,” said Jim Marchant, executive director for advancement and special projects.